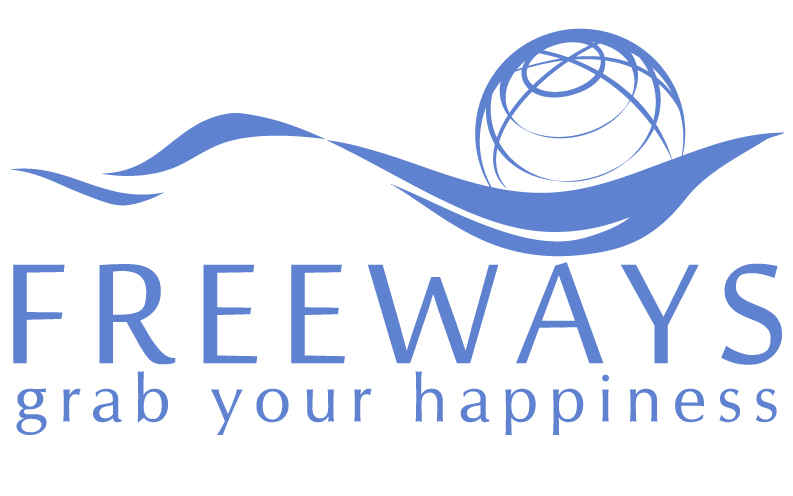 The website www.freewaysintl.com is managed by Freeways Global SRL, with the registered office in 119 Barbu Vacarescu Blvd., District 2, Bucharest, VAT No. RO 36285740, Trade Register J40/9241/2016. This document sets the terms and conditions according to which you may use the online platform www.freewaysintl.com. Freeways Global SRL, by www.freewaysintl.com, reserves the right to amend these provisions without any other notice. The use of the website as visitor, the registration as Client/Partner and the purchase of products of the range offered on site implicitly suppose the tacit acceptance and without reserves of these Terms and conditions, with all the consequences resulting thereof. The website will be used with the purpose to see the products and the information concerning them and the store, as well as to create an account that would be used to purchase the products that you want. The use of the site for other purposes than the previously mentioned ones is forbidden. Freeways Global SRL may operate at any time any changes to the contents of the website www.freewaysintl.com, changes of structure and of accessibility, it may interrupt the provision of information on the website, without requiring a previous consent and without sending any notice to the users or to third persons. Also, Freeways Global SRL may limit the access to certain parts of the site, to certain facilities/frames of the site, it may limit the access to certain IPs without notice or liability. Freeways Global SRL gives the revocable and non-exclusive permission to create hyperlinks to the pages of the website as long as these links are not used in a context that would falsely, wrongly or offensively describe Freeways Global SRL. The granted license will not allow for the association of the brand www.freewaysintl.com with other brands or with third names, nor will it allow for the use of the brand www.freewaysintl.com for own promotion purposes without the previous written consent of Freeways Global SRL. The contents of the site cannot be fully or partially reproduced, multiplied, copied, resold or exploited for any other commercial purposes without the previous written consent of Freeways Global SRL. Freeways Global SRL does not guarantee that the site, the servers on which it is hosted or the emails sent from the addresses www.freewaysintl.com are virus-free or free from other IT components of a destructive character. The user uses the site on its own risk, Freeways Global SRL being free of any liability for any direct or indirect damages caused by the use or access/visit of the site or by the use of the information posted on site. Freeways Global SRL is not to be held liable for the errors or omissions that may occur in editing or presenting the materials on Site. Freeways Global SRL does not provide any warranty for the contents and use of this Site. Any unauthorized operation on this site and any attempt to do so, including: abusive use, fraudulent use, unauthorized access, alter, copy information for trading purposes, block access, and others, will be punished according to the law. Freeways Global SRL generally reserves the right to partially or completely modify, block or interrupt the Site www.freewaysintl.com or its content at any time and for any reason. As a consequence of the laws in force, Freeways Global SRL will not be held liable for any direct, indirect, subsidiary damages or of any other kind, including, but without limitation to material damages, losses of use, losses of business, economic losses, losses of data or of profit, resulting from or in relation to the use or access or incapacity to use or access the site www.freewaysintl.com or its contents. Freeways Global SRL will make reasonable efforts to make sure that the information and materials offered on this website are correct. Nevertheless, Freeways Global SRL cannot guarantee the accuracy of all the information and materials and cannot be held liable for the accuracy, integrity or authenticity of the information and materials included on this site. We do not guarantee that this site will operate without interruption or without error, nor that it is free from viruses or other components that may damage the equipment or the software. Freeways Global SRL does not guarantee that the Site www.freewaysintl.com will be compatible with the equipment and the software used by you, and it does not guarantee that the site www.freewaysintl.com will be available all the time or at any specific time. According to the requirements of the Law no. 677/2001 for persons protection related to the processing of personal data and the free circulation of this data, amended and completed, and of the Law no. 506/2004 concerning the processing of personal data and the protection of private life in the sector of electronic communications, Freeways Global SRL has the obligation to manage in conditions of safety and only for the specified purposes, the personal data that you provide. The purpose of data collection is to use it in the following types of activities: multilevel marketing, advertising, marketing, publicity, economic-financial management, statistics, electronic communication services. The data that you provide is used to adjust the delivery of the package containing the ordered products, so that you may be given a sole identification number in our system, if you choose to register as a Client or Partner, as well as for payment of fees. If you choose one of the two previously mentioned variants, but you do not provide the personal number and the ID series and number, we will not be able to assign a sole registration number for you, so you will not be able to access the benefits related to these options. The registered information is meant to be used by the operator and is communicated only to the following addressees: appointed persons, accounting, IT, courier services in order to deliver the products, etc. Clients are guaranteed the rights stipulated by the Law no. 677/2001 for persons’ protection regarding the processing of personal data and the free circulation of said data, respectively the right to information, the right to access the data, the right of intervention, the right of opposition, the right not to be subject to an individual decision, the right to address the justice in case of violation of its rights. Clients or Partners have the right to ask for the total or partial deletion of personal data. The Client or Partner may ask for any of the previously enumerated rights based on a written request, signed and dated, addressed to Freeways Global SRL. If any of the data concerning you is incorrect, please let us know as soon as possible. The parts protected by password of the web site www.freewaysintl.com are solely destined to Partners and Clients. Passwords must not be disclosed to third parties and they must be protected against the unauthorized access. If you notice any unauthorized use of your password, you must notify Freeways Global SRL at once. Freeways Global SRL declined any liability for the prejudice caused by improperly using the passwords. The user (Partner/Client) is fully liable for keeping the confidentiality of the account and password associated to the access to the services of the site, conditioned by log-in. In case of an unauthorized access of the account by third persons, Freeways Global SRL does not take any liability for any consequences that may occur. If the User finds any unauthorized use of its account, it must notify Freeways Global SRL in the shortest time. Any attempt to access another user’s personal data or to change the contents of the website www.freewaysintl.com or to affect the performance of the server that the site runs on will be considered an attempt to defraud the site www.freewaysintl.com and will make the object of a previous criminal complaint to the competent police bodies, against those who tried to do so. By navigating on the website www.freewaysintl.com, held by Freeways Global SRL, visitors may express their agreement to receive Cookies. The entire contents of the site: products, images, texts, web graphic elements, logos, scripts, software, design rights, model rights, patents, trademarks, are the property of Freeways Global SRL and of its providers, being protected by the copyright and related rights Law and by intellectual and industrial property laws. The use of any previously mentioned elements without the consent of Freeways Global SRL is punished according to the laws in force. It is not allowed to copy, store, alter or transfer, under any title, partially or entirely, the site and/or its contents without the explicit, written consent of Freeways Global SRL, and they are punished according to the laws in force. It is allowed to create links between other sites and the website www.freewaysintl.com or the other way round, based on the previous consent of Freeways Global SRL. Freeways Global SRL may provide in an authorized manner, through the website, links to other World Wide Web pages or resources. Freeways Global SRL does not guarantee, is not and cannot be held liable in any way for their availability, for the form, contents, publicity, products or other available materials on said websites. Freeways Global SRL guarantees that the products are new, packed in special cardboard boxes and, on delivery, they are joined by invoice, according to the laws in force. Products are provided in the limit of the available stock, therefore www.freewaysintl.comisi reserves the right not to honor an order if the targeted product is no longer included in the current offer placed on the site. Freeways Global SRL binds, at the same time, to update the product offer on the site according to the availability of the products on stock. The prices presented on site in the product list include VAT, but they do not include the delivery costs. Freeways Global SRL binds to display correctly on the site www.freewaysintl.com the prices and information concerning the features and availability of the products. However, there may still be errors of system in the display or calculation of prices. In this case, the final price of the order will be the one agreed by phone/electronically with the sales representative of Freeways Global SRL. If you encounter such discrepancies, please notify them at the phone number displayed on the site or write them at the address office@freewaysintl.com. The images published on the site next to the products are only given as an example, and the delivered products may be different from those shown in images. Freeways Global SRL will not be held liable for the features and specifications of the products on www.freewaysintl.com, as they are in the charge of the representatives of the brands providing them or of the importers designated by the brands. At the same time, Freeways Global SRL reserves the right to change and update the descriptions of products without any previous notice. When you have completed an order, it means you agreed with the previously mentioned terms and conditions. The product price is the one displayed on the site next to every product. The final cost of the order will include the price of products, displayed on the site, the transport fee (if the case may be) and the external courier fee (if the case may be). The ordered products must be paid entirely, otherwise the delivery will not be made. The provider will issue to the Client an invoice for the delivered Products and Services, and the Client will be bound to provide all the information required to issue the invoice according to the laws in force. The payment may be made using one of these 3 options: either online, by bank card or by transfer, or by cash on delivery when the package is received. Also, products may be purchased directly at the company’s headquarters, in cash or by card. Online orders will be delivered only by courier. Freeways Global SRL organizes promotional campaigns containing products offered as gifts, during the campaign period, per natural or legal person (identified as Client/Partner), regardless of the number of orders registered by a natural or legal person. If fraud cases have been identified, Freeways Global SRL reserves the right to suspend the accounts that have been created for these purposes, and to withdraw the benefits related to the promotions or the ongoing offers, to cancel orders without previous notice and without notification, other formalities or indemnities. Also, if an offer joined by gifts is rejected or returned completely, the client is bound to return the gifts in their original state, without being damaged and unsealed. Freeways Global SRL reserves the right to delay or to cancel the delivery of the ordered products, if they cannot be honored for reasons of force majeure and fortuitous case, according to the customs of the Romanian law. The execution of the order/contract by Freeways Global SRL, respectively the delivery of the product, are made within 2-4 working days, when the product is on stock. If the product is purchased from an external provider, the deadline of the order will be communicated within 5 working days. If the deadline does not satisfy the consumer, it will terminate the order within another 3 working days. The client binds to sign the delivery note (AWB) presented by the courier on the delivery of the ordered products. By signing the delivery note, the Client acknowledges the receipt, in good conditions and in totality, of the ordered products. Freeways Global SRL warranties the integrity of the products ordered on the site during transport and until the moment of their delivery. The products, where the case may be, are joined by the original warranty certificate. When claiming the warranty, it is necessary to submit the faulty product in the original package, together with the related accessories and a copy of the invoice. If the products arrive without being joined by these documents, they may be returned to the claimant/sender without settling the warranty. The purchaser benefits from a warranty only if the product is used correctly and according to its specifications. Freeways Global SRL trades in products which are mostly of non-extended duration. For these products, the company does not bind itself to give the consumer, on the moment of the purchase, a certificate of warranty and of compliance. The consumer has the right to give up on the purchase, based on a written notice, within 14 calendar days (the deadline of 14 calendar days starts elapsing from the product receipt date) without penalties or without giving any reason. In this case, the purchaser is bound to bear the product return costs. The reimbursement of the amounts paid by the consumer will be made in maximum 15 days after it terminates the contract. The products purchased from www.freewaysintl.com must be returned in the original package, respectively the package in which the product was purchased, and in perfect conditions. Products showing physical alterations, hits, chippings, scratches, shocks, etc., are not accepted to be returned. The returned products must be in the same state as when received: flawless (except the concealed flaws and except the flaws already mentioned by the Client in the correspondence sent to Freeways Global SRL). The product does not comply with the specifications presented on the site. The product was wrongfully delivered. Only in both special conditions of return will Freeways Global SRL bear the transport costs. The product may be returned only upon written notice, sent to the e-mail address office@freewaysintl.com. The returned product must be in perfect conditions, including the package, the accessories and the related consumables, which means that these should not show any sign of wear and tear (as regards consumables). Freeways Global SRL does not offer any guarantee that the ordered products would satisfy all the User’s desires regarding them. Freeways Global SRL specifies that it is possible that any errors generated by technical issues may appear on the site, for which it takes no liability. However, Freeways Global SRL is concerned with remedying and eliminating such technical issues. Freeways Global SRL has the right to amend these rules at any moment. Any amendment will be made public on this page and will be enforced since the moment it is posted on the site. Any conflict between Users and Provider will be settled amiably, including all the misunderstandings related to the validity of this document or resulting from its interpretation, execution or cessation. If you have any issues related to an order, to products, to the delivery or to any other nature, you may contact us on the phone numbers posted on the site or to the e-mail address office@freewaysintl.com.If the conflict could not be settled amiably, the competent courts governing over the Freeways Global SRL headquarters will be in charge with its settlement, according to the laws in force. The consumers’ rights stipulated by this law are exercised without prejudicing other rights that the consumer may claim according to the other legal provisions regulating the contract liability.